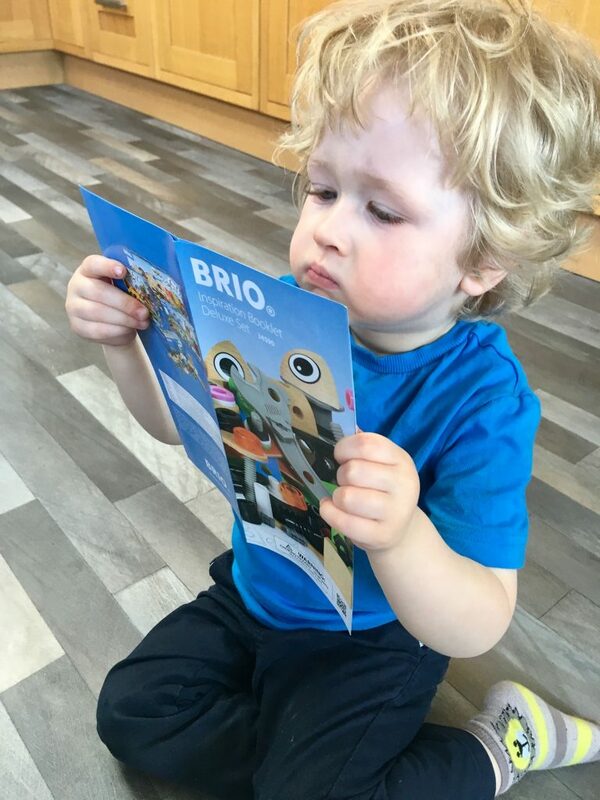 A couple of weeks ago Lucas was sent* a BRIO builder deluxe set to review. The set is aimed at children from 3 years of age and contains an incredible 270 pieces! 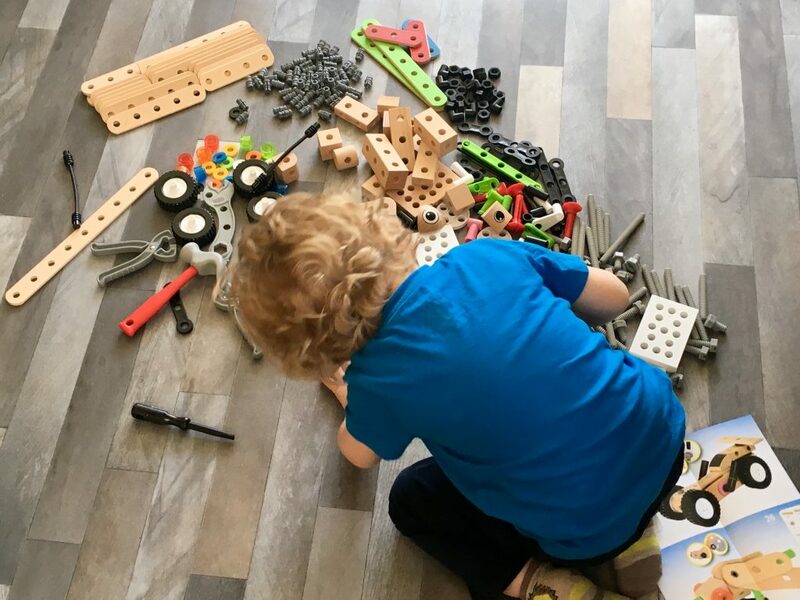 It inspires a huge selection of wooden and plastic components and 4 tools for free play. There are also pieces that include eye graphics to enable character play. At the age of 3, children’s hand-eye coordination becomes refined, and fine motor skills are improving through handling small objects which this set is perfect to encourage. The set comes with some ideas of what to build but not instructions, it’s is all about imaginative play and learning through play to explore, discover and create what the child wants. We did try to make the crane that was pictured but struggled with the pieces in the set, there was one part that needed something that isn’t in the set but that being said I do think it’s a fab set. There are so many possibilities that this set can be used again and again and will last many years. As Lucas becomes older and his skills improve he will be able to make more and more creations. 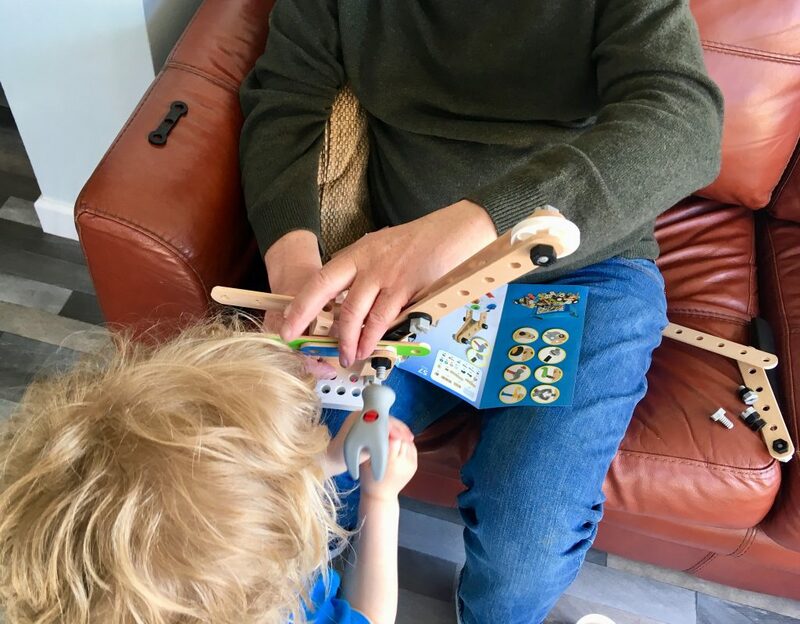 Lucas is really enjoying playing with it and also Grandad too! What a great toy! I has a toy that was a similar concept when I was growing up and always had so much fun making things! I always think of train sets when I think of Brio, but it’s nice to see things like this and is something I will have to remember come Christmas time. 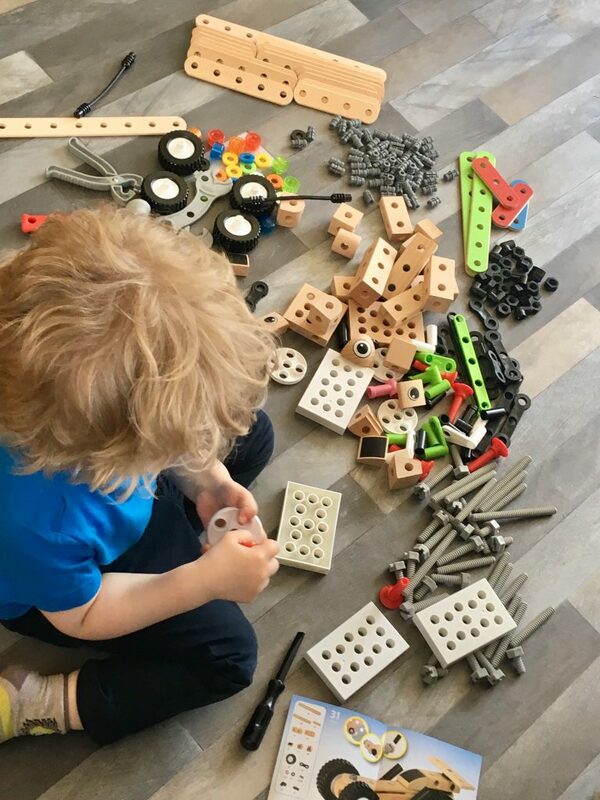 My son would have loved this when he was younger, If you have a child who is really inquisitive and inventive, it’s good to find great things for them to build, before they start taking things apart! My son would love this Brio set for sure. It looks great. I am sure it would keep my kids busy for hours. That sounds like a great set. 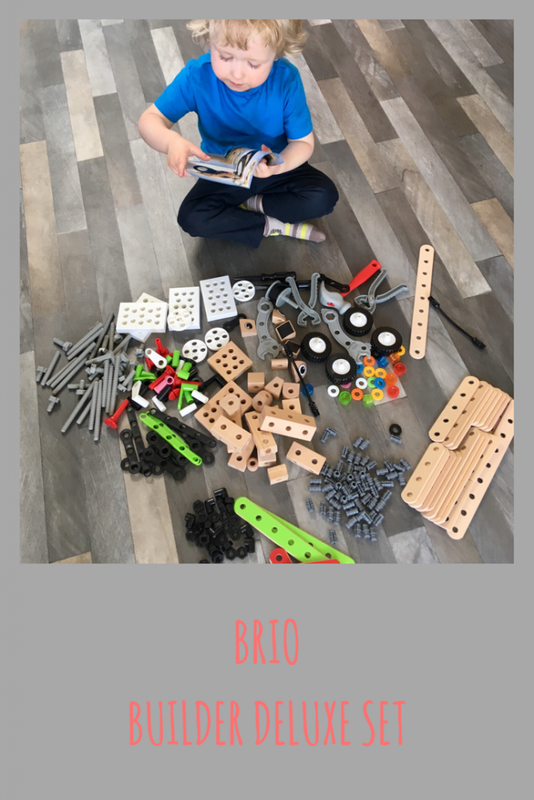 I’ve always been a fan of Brio toys and anything that encourages free play and creativity gets a thumbs up from me! This looks amazing! So hands on, and you have to use your mind too! You’ve got a little contractor on your hands there! Oh this looks like fun! We love Brio toys, they always last!